Technology is changing day by day, so is the online business pattern. No wonder the tactics that were working few years ago are not useful as of today. 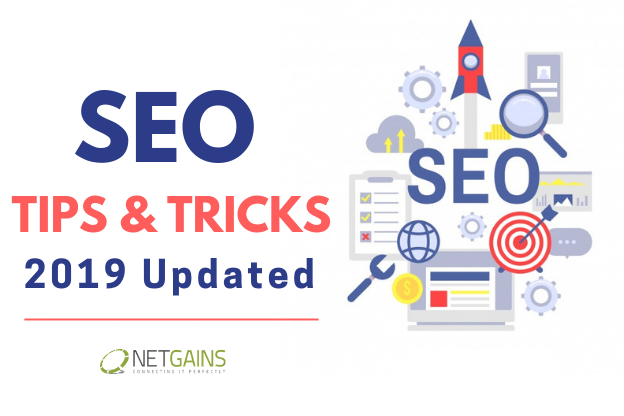 Google is continuously updating their strategies to make its SEO algorithm better and its highly recommended for the website owners to focus on the latest trends and adjust their SEO practices to continue to have good SERPs ranking. • Keywords Research – One of the most important and time-consuming part for on page is to search relevant keywords & selecting them based on google trends. It has been seen in 2018 that the longer the content is, better the results and we believe this will be trend this year as well. Unique content with 1000+ words will be working well as compared to 500 words article. Please make sure to use rich content and not to use rough content to fulfill the condition of 1000+ words as google is smart enough to analyze the content of the articles, the quality of keywords inserted. Depending upon your service or products, a good SEO companies will search good keywords which will assist your website in online ranking. Focus key here is about the length of keywords. Yes, Long tail keywords – Though its not a new concept but based on the trend this will be important this year. Keywords having 3 or more than 3 words will support content of your article as compared to single- or 2-words keyword. Depending upon the selection of your keywords, chances are long tail keywords have great possibility of conversion. It is working out to be best till now and will further increase its trend this year as well. Most of the searches are done via smartphone now a days. So, one of the major tasks for your SEO agency is to setup better on page & do Mobile optimization for your website. – More than 15% of smartphone or mobile device searches led to purchase within one day. This new trend is something you will be looking most in the 2019. With advancement of devices like Alexa and other in-built features in devices Like Siri, Bixby – voice search is going to by talk of he SEO. Though its in nascent stages, but you can notice the market is already full of the devices like these ones. So, website owners should also start planning on this as well.